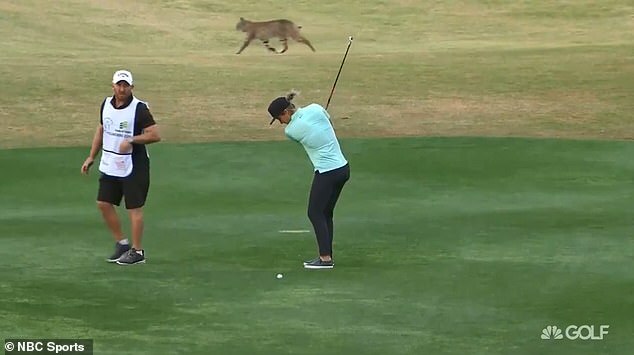 A pro golfer was upstaged when a bobcat slunk into view while she was on the green during a televised tournament. The bobcat surprise occurred Thursday, in the middle of the opening day of the 2019 Hope Founders Cup at the Wildfire Golf Club in Phoenix, Arizona. 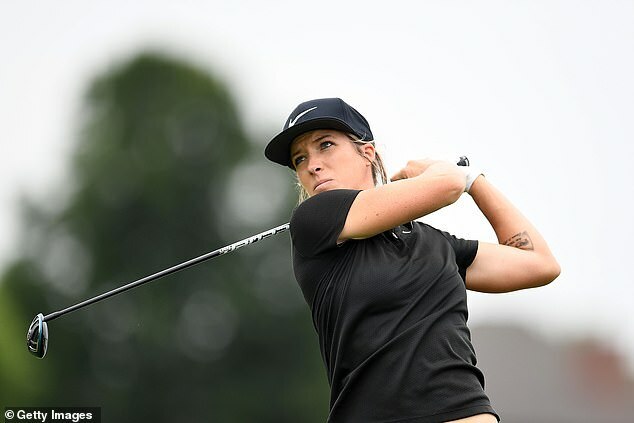 English golfer Melissa Reid, 31, was on the 16th hole, taking a practice swing for her second shot on the hole when the bobcat trotted across the green behind her, according to Bleacher Report. Neither Reid nor her caddie, Mark Wallington, were any the wiser about the bobcat’s presence, as Reid went on to hit the ball moments later. Reid saw the humor in the situation, taking to Twitter with her own commentary. 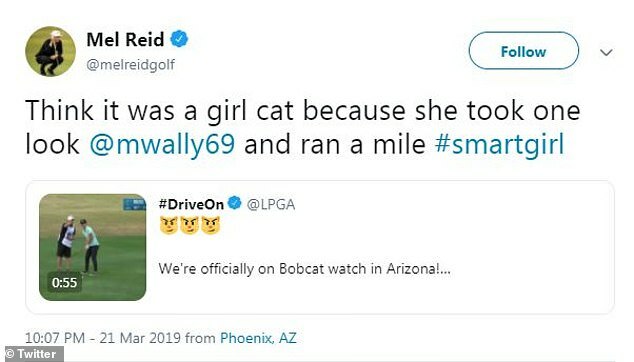 ‘Think it was a girl cat because she took one look @mwally69 and ran a mile #smartgirl,’ Reid tweeted in reply to the LGPA, while referring to her caddie. The Golf channel’s instant replay of the bobcat footage included a close up of the unconcerned feline as it made a beeline for the fence on the other side of the golf course.